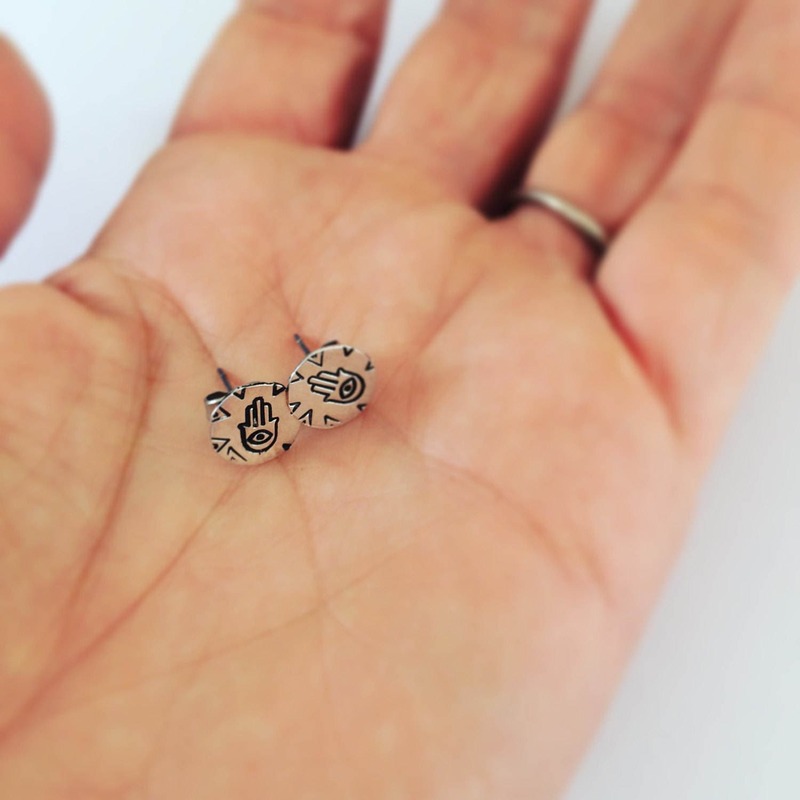 Fabulous little Sterling silver studs with surgical steel posts and backs. 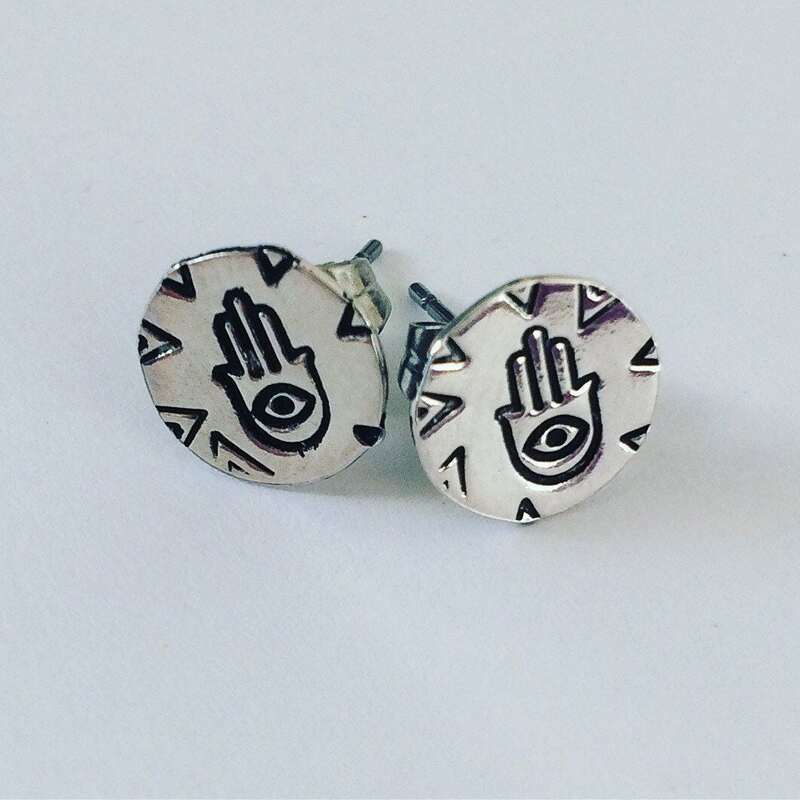 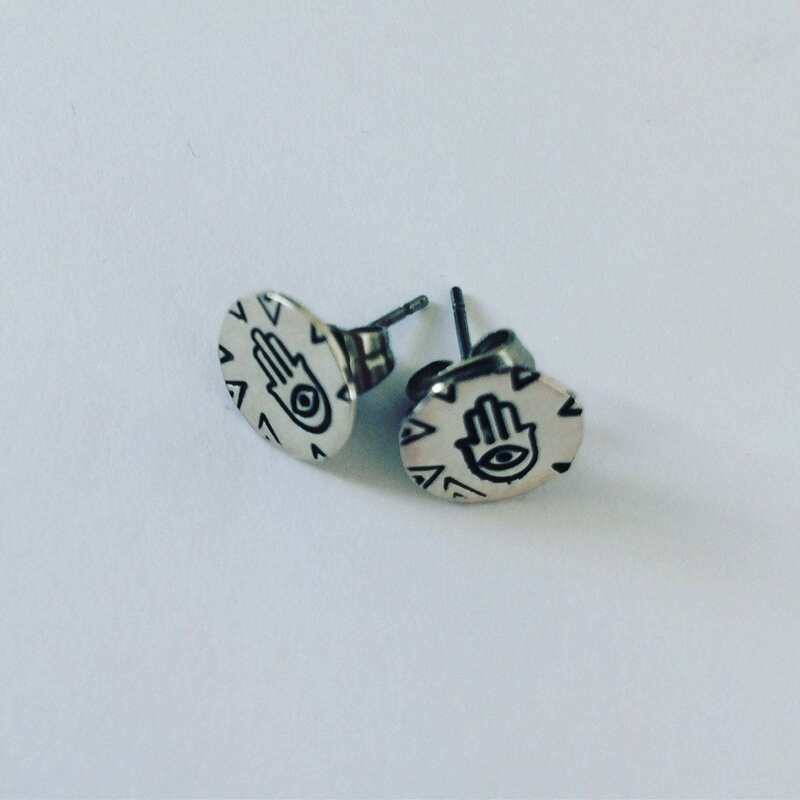 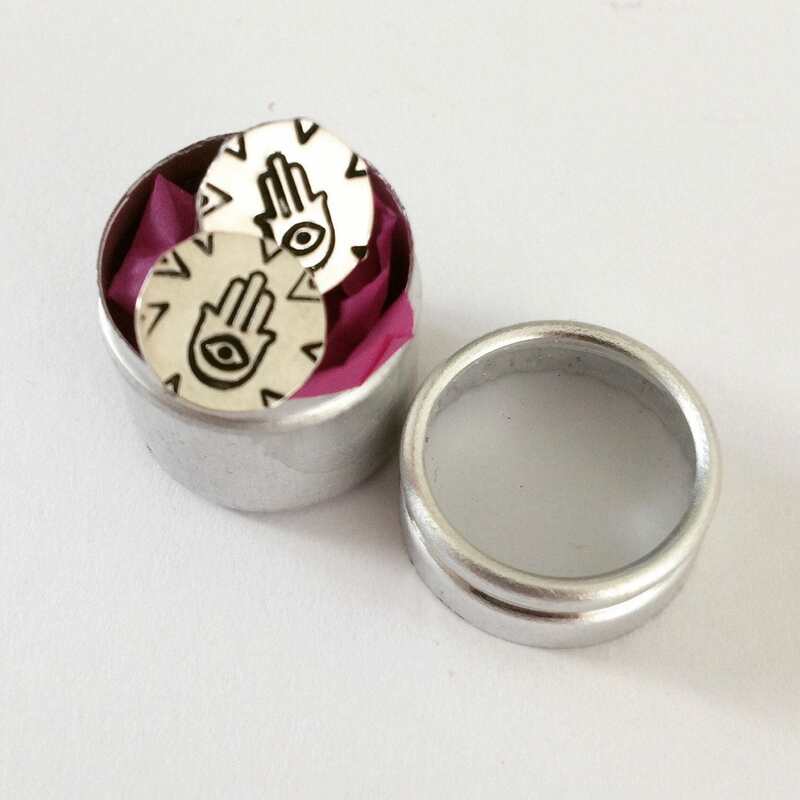 They are hand punched with Hamsa hands. 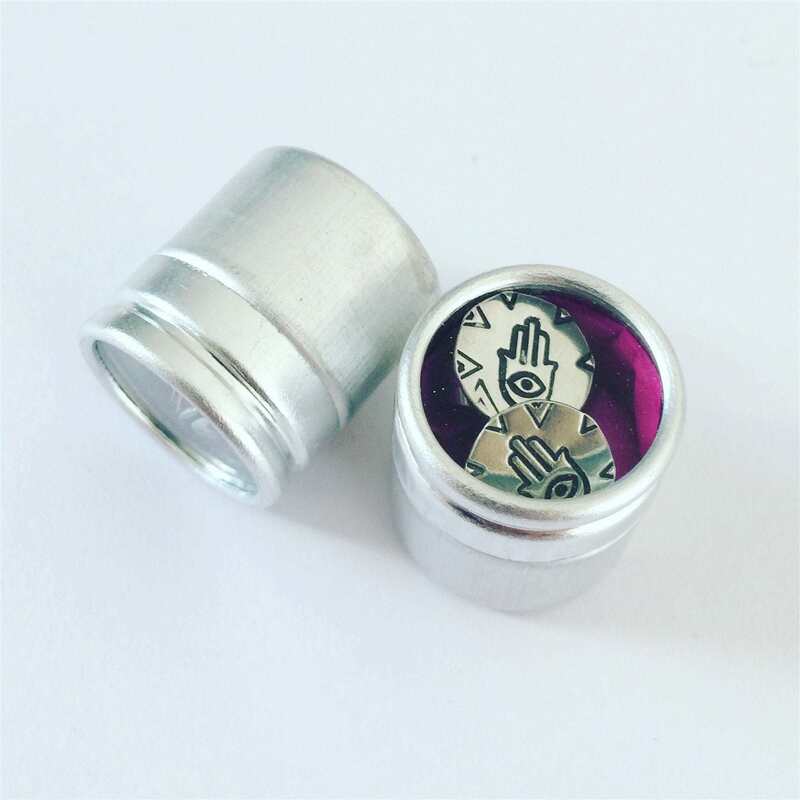 They measure approximately 1cm across and come in an aluminium and glass tin.